This tutorial shows how you can set up an Ubuntu 9.04 (Jaunty Jackalope) desktop that is a full-fledged replacement for a Windows desktop, i.e. that has all the software that people need to do the things they do on their Windows desktops. The advantages are clear: you get a secure system without DRM restrictions that works even on old hardware, and the best thing is: all software comes free of charge. The installation of the base system is easy as 1-2-3 because the Ubuntu installer doesn't offer a lot of options to choose from, so you cannot go wrong. The system boots and starts a desktop that is run entirely in the RAM of your system (the Ubuntu installation CD is also a Live-CD) without changing anything on your hard disk. 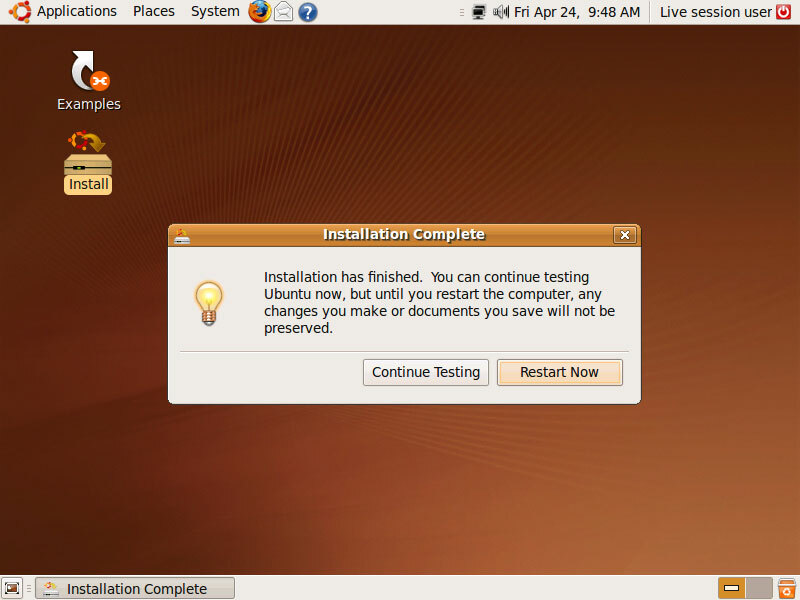 This has the advantage that you can test how Ubuntu works on your hardware before you finally install it. For some it's free as in I can get my work done without my OS always being in my face about something. The politics of software are transparent to some of us who are content with working with what's available to get our work, yes work, as in salary or by the hour, work, done. I don't know about anyone else, but for me it just works better than anything else I have access to; for me it (linux it's self) is perfect. I'm on a 6 yr old Dell, with 8.04. I verified chksum, rebooted into CD with 9.10, selected Engish, then saw small, garbled chars at top screen, and waited for 10 minutes, then tried hitting keys, mouse, etc. Mouse cursor worked, and disc light would blink after hitting keys. I gave up and rebooted into 8.10. Same issue, with a 5 year old Dell. Garbled stuff in the middle of the screen. Hardy enough, I downloaded the alt-install disk, and did an install. It boots, and kind-of-works, but the graphics still are failing. Any message screen will come up blank. Wasnt even possible to update / upgrade packages. I am now using the terminal to manually update, with the hope that the right driver for the Integrated Intel Video 810 will come up and solve the issues. I have a Dell D600 Laptop and with hardware this old I just download the alternate installation (.iso) and I had now problem installing it. I runs fast. It's just a text based installation that very easy to use. I've read about these problems. As far as I know it is a problem with the Intel graphics drivers as they are overhauled at the moment. Ubuntu really should not have delivered the new drivers when they are not finished yet. Apparently the freezes can be worked around by upgrading to a 2.6.29 or higher kernel. 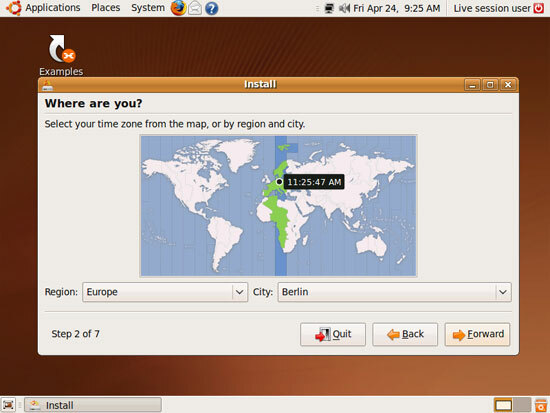 In standard Ubuntu, a mainline kernel can be installed. I run the 'realtime' kernel, and fixed things by installing the 64studio kernel, as described in the UbuntuStudio post. 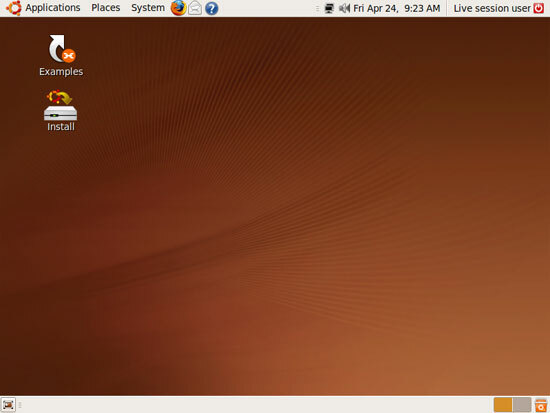 In my experience with Ubuntu 9.04 it is NOT the perfect desktop. I have a HP XE783 desktop PC with 1ghz CPU 512mb ram Intel 810 motherboard graphics. The version of XORG used in 9.04 installs a graphics driver that will not function properly. It is unusable. I tried Ubuntu 8.10 and pulseaudio broke the sound in it. Flash player had no sound. Searched the internet and Tried all kinds of command line fixes to no avail. 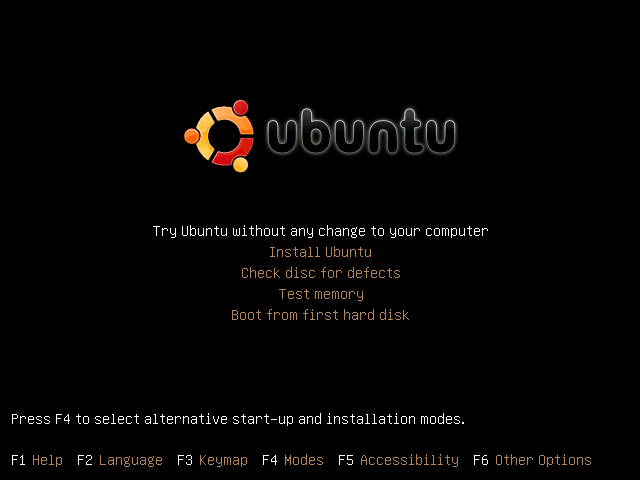 I guess if you have an old PC look elsewhere for a linux distribution. I am not happy with the last 2 releases of Ubuntu. I still have the 8.04 version on another partition so I'm using it at least the 9.04 install left the 8.04 install on seperate partition. I have a BS in computer science and I can just imagine how flusterated an average computer user would be trying to get this stuff to work properly. Seems to me that ubuntu wants to only work with latest HARDWARE for this release. I have to agree with this post. I am happy to see positive input to the internet about Ubuntu. My desktop is excellent, stable, fully featured and - in my view - the best. However, this site does try to give the impression that it's perfect - and that's a very silly thing to do - this is what's called a 'fanboy' site. 'Fanboy' psychology attracts schoolboys, not intelligent people - I'd prefer to see it toned down just a little. In my view, Ubuntu can prove to be an ideal desktop for most people - depending to some extent on hardware. If it works, use it. If it doesn't, then report the bugs and then wait. I started a dual-boot with 7.04 and had a few nightmares, and learned a fair bit (in my opinion - actually it's not too much). I would say that generally, installation and most jobs are easier for me in Ubuntu than they were in Windows, I am not familiar with Mac (though the shell is surely very similar) - but when the system breaks, you should simply try something else. Calm down - we've got something great, but let's not cheapen it by overstating it. There are many bugs, there are (for some people) hardware problems, and not all problems are automagically fixed - not yet. Development is extreme - so much faster than any other OS - that it seems impossible that linux can stay on a back burner forever. Shouting won't help - just contribute and help. For people using Ubuntu, I'd say PLEASE don't go to Evangelistic lengths to spread news. It worked for Microsoft because they had a very careful campaign for years - and now Winodws users themselves embody the culture of Evangelism (shouting from the rooftops about how amazing it is, when really there's nothing much there). I just finished a 9.04 install and everything went very well. Networking works just as well as it did in 8.10. You may have some other issues not related solely to 9.04. The guide is great, thanks. I agree that there would be copy-paste version of software list to be used with apt-get. After java (sun) is installed it is not enabled by default. At least in my case. You need to enable it by running 1-2 commands. The weird thing is that the working drivers ( well they work for me ) are on the AMD Catalyst driver download page. The version in the Ubuntu repository is older and broken, why don't they update them ? It's full of proprietary software!!! If you want to stay in slavery and be dominated by proprietary software, just stick with Windows that is far better in this regards. Really don't understand why one would want to use GNU/Linux to be free as in freedom, and then fill it with non-free software. Maybe people don't value their freedom, and are looking just to something new to show to their friends? What about an amazing and new XP theme then? To be fair, you haven't just outlined a replacement for a Windows desktop, you have replaced a Windows desktop PLUS a lot of additional programs. I've used nothing but Ubuntu for over a year on two different home machines and am perfectly satisfied with it. Yes, Jaunty is a very nice desktop. 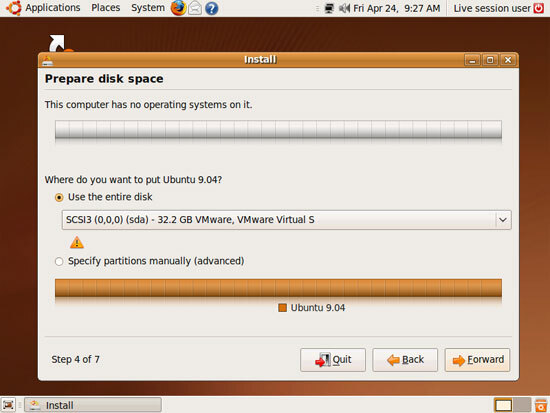 However for the first time, I'm getting problems with an Ubuntu distribution. The major one is really serious, as my desktop completely freezes, and the freezes appear to be random, where only the mouse cursor can be moved. If this doesn't get fixed soon, I have to find another distro. Burning in Brazero is slow, and incapable of burning video dvds. Writing files to USB pen drives is slow. I have an ATI Radeon Xpress 200M and was experiencing freezes. The custom package described in https://bugs.launchpad.net/ubuntu/+source/mesa/+bug/368049/comments/21 worked for me to fix the freezes. I ran fglrx (radeon 1950) before I upgraded to 9.04 and I must say using the open source ATI driver is a real step up at least for none 3d applications and games. 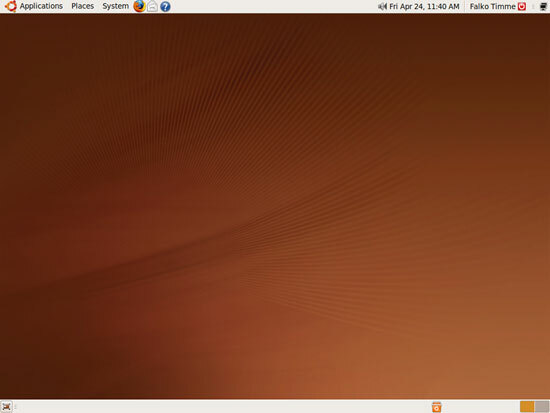 This is actually the first Ubuntu release that I use compiz on as it's not dog slow as it was with fglrx. So for normal computer usage (not playing Open GL games etc.) I recommend upgrading any time. Within the first week a number of users on the Ubuntu forums are reporting difficulties with USB devices that worked fine on earlier Ubuntu releases, as well as seriously broken network functionality, particularly getting Samba to work in a LAN for interoperability with Windows machines. I found the network performance to be unacceptable in a brief test, running perhaps at 1/10th to 1/50th the speed of Ubuntu 8.10 ("Intrepid Ibex") on the same machine over a wireless connection. The Google home page (http://www.google.com) loads in less than a second on 8.10, but takes nearly a minute with 9.04; the Weather Underground site comes up in less than eight seconds on 8.10, but doesn't finish in ten minutes (yes, 10 MINUTES!) on 9.04. Since the network ran so poorly out of the box, I never even got as far as trying to set up Samba on Ubuntu 9.04 ("Jaunty Jackalope"). I'm sticking with release 8.10 for the duration and shall see if 9.10 is any better this October. Release 9.04 is unusable, in my opinion. Broken detection of devices operating in MSC mode rather than MTP is due to bugs in libgphoto and libmtp. I don't use any MTP devices, so this has been a bit of a pain for me. Surely, breaking MSC operation for the sake of MTP is the wrong way to go! I don't have any other real issues. My networking works just as well as always. If it is so perfect, then why is fglrx broken? Yes, I know it is ATI's fault, but I can't upgrade because of this issue. I am waiting for a month at least before upgrading to 9.04, as the Forum has a lot of those who have upgraded (or tried to ) have got problems . Some of them quite serious ones. So I am going to be patient and wait for a few bugs to get fixed. It is not costing me anything so I wont moan about it. I suggest a wonderful WYSIWYG HTML editor in Programming section: Komodo Edit 5. Thanks very much for this great tutorial! I found this guide really helpful. Thank you very much. Got my Ubuntu installed very well for a first-timer. I either get black boxes (comedy central) or don't play at all (hulu). Any ideas? 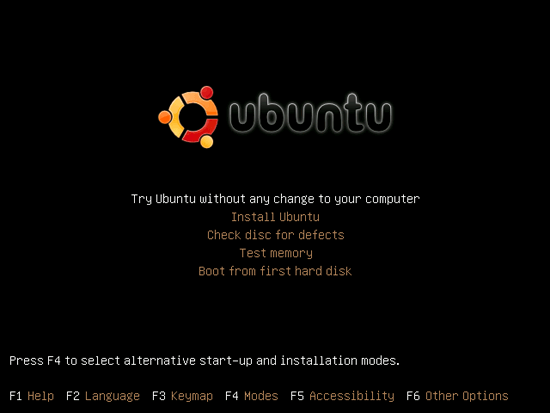 For a variety of reasons I just returned from 100% Ubuntu to dual-boot with winXP. 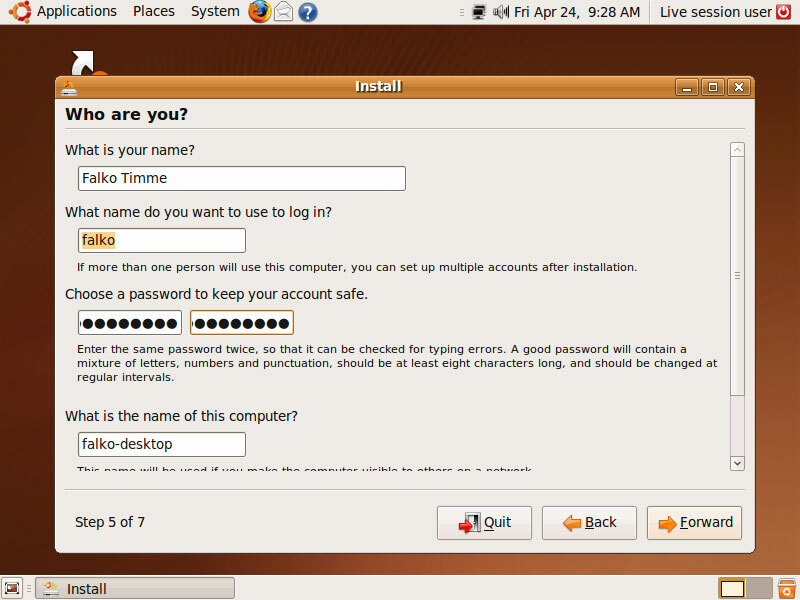 I discovered what I think is a serious fault in Ubuntu 9.04. During boot it does not recognize a USB keyboard. Which means that you can only open into Ubuntu. That caused me no major problem because I have several keyboards and I just swapped for one which plugged into the keyboard socket. But I have noticed that nowadays a lot of people only use USB. So inexperienced people coming across from windows who want dual boot will probably hit the panic button. I think the problem you're having does not have anything to do with ubuntu. Try enabling the following setting in your BIOS: "Enable USB Legacy support". 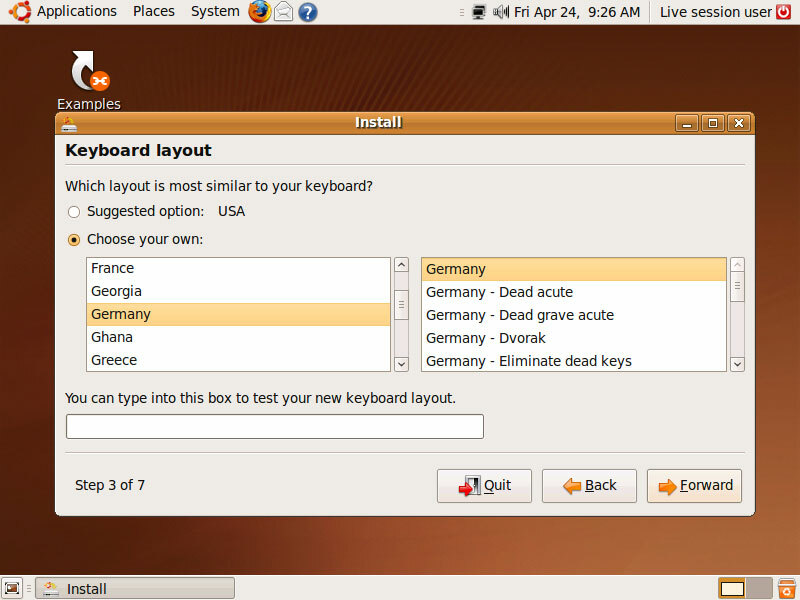 It will now let you choose the options in GRUB. I have had the same problem before, after my mainboard battery went dead.My BIOS options were all put back to default. After enabling this all is well. I'm austin. This site has a lot to offer, so i signed up. Thanks for posting my long-winded business. I really hope some of that saves someone else time. In "gedit" you can go to preferences, plugins and add a snippet manager also for those who write repeating code or letters. Thanks! 8) Just like other OS, you have to get flash, Sun (or other) Java RE, etc separately and post-installation. 9) *** Visit Google: type "Ubuntu" and "application name"
Kino is and excellent free DV video editor producing high quality low file-size ogg video or other output. The links you'll find there will show many ubuntu forums topics, along side this howtoforge site's tutorials. 10)as a "side", you might kill website adverts also: mozilla-firefox-adblock (this can be added apt-get, through synaptic, or directly in firefox under tools -> addons -> search "adblock"
I'm so sick of hearing people crap on linux and especially Ubuntu. People hiding in their caves often yell at the passerby in fear. Nothing more. It has always been this way with man and monkey. Don't fear freely available software. The alternative costs a lot but seem to be losing value. Viva la Ubuntu final touches. Karmic will be interesting all polished up. I already have that installed! woot! I only disagree with ONE THING IN THIS ARTICLE!!!! you mention “adobe reader” under office applications. WTF BBQ? Ubuntu comes with a built in PDF reader. It generates thumbnails for PDFs. Open Office will create PDFs. Please correct or explain why that is included here as it is! You're the boss! Have a great time playing with Ubuntu. Buy a faster processor and more hard drive space instead! This is a well laid out tutorial and works very well - about 98% of the way through. By no means am I being critical of the author, but readers need to understand that this information was developed in the very sanitized environment of a virtual machine (though, admittedly, I'd probably do it the same way as there are simply too many permutations of machines out there). Full disclosure - I have installed Ubuntu AMD-64 9.04 on a Intel Quad on an Intel DG965WH moboard with 8GB RAM, 4 x 500 GB SATA disk drives (non RAID), CD drive (IDE) and DVD drive (SATA). Video is from an nVidia GeForce 8500GT with dual monitors (TwinView used). Used this tutorial as the guide. First piece of advice - with the above machine, probably due to BIOS issues, I have found using a disc-at-once CD in the DVD drive works far better than in the CD drive (which often has issues of slow reading). Second, update the system BEFORE thinking of installing any proprietary nVidia drivers (if one of the updates is a kernel - guess what, you're doing the vid card install again!). Not an issue yet as 9.04 is just out, but will be at some point. In the main - this howto is definitely worth following (with that small grain of salt thing). Thanks! Fantastic article! All works well by following this article, particularly the adding of repository discussions. Being a total nOOb with Linux, got me off to a great start! Thanks for your contribution for us fed up M$ converts! Your article is absolutely fantastic. You are in the rare group that believes that nothing is more explicative than a graph and put it in practice. My congratulations. It is very comforting to see an article like this. I followed your instructions and installed some software that I was needing in my computer. I have an HP Pavilion dv7t-2000 with Ubuntu 9.04. By the way, sound in my computer does not work under Ubuntu, just under Windows Vista. I would appreciate if you consider to write an article just about sound. i have many codecs in my hard disk what is downloaded by my friend but i 'm unable to use this codes because i don't know how to use install this codecs. Also I don't know the commands of terminal that is why the problems r happening. Plz help me ! While this operating system may in theory be able to replace windows, in reality it falls short of that. - It seems to want to create a new wireless network as opposed to simply connecting to one. 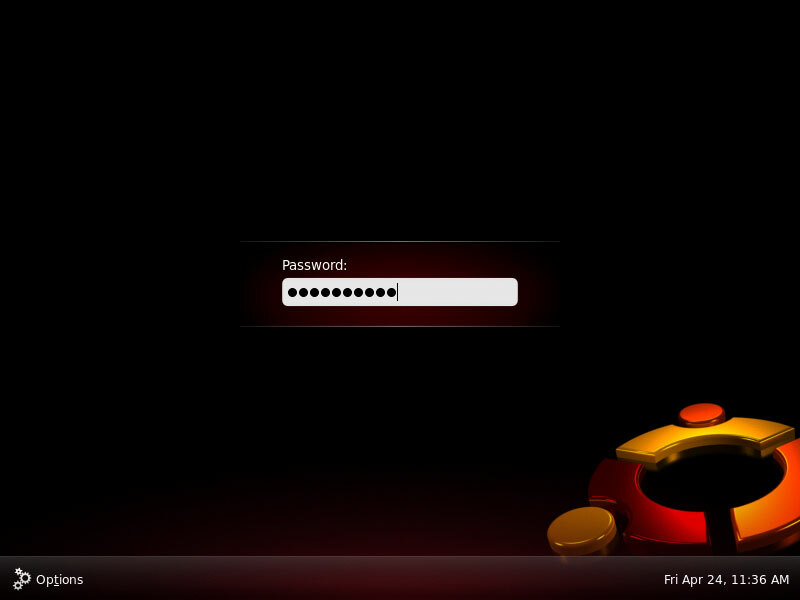 - What kind of operating system has the turn off button right next to the close window button? That's just five star short sightedness.